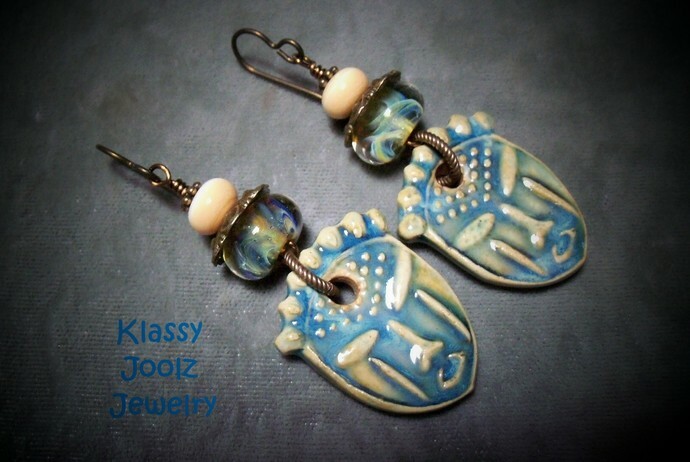 Tribal, Tiki, Polynesian Rustic, Organic, Boho Lampwork and Ceramic Beaded Dangle Earrings: Made with Artisan top quality handmade components. Unique One Of a Kind Earrings. They are just sooooo awesome!